Exceptional & Extraordinary was a research project initiated by the Research Centre for Museums and Galleries (RCMG) at the University of Leicester which set out to stimulate public and medical professional debate around the implications of our deeply entrenched negative attitudes towards difference. 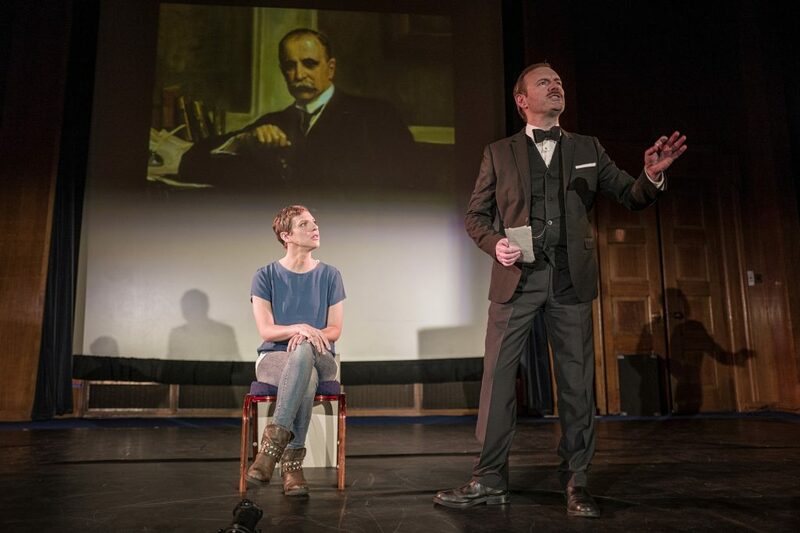 An intensive and sustained process of collaboration between RCMG, museum professionals, medics and four extraordinary artists – Mark Smith, Julie McNamara, David Hevey and Francesca Martinez – resulted in a suite of ground breaking and thought-provoking new artworks featuring comedy, dance, film and drama. These, in turn, were used a stimulus for dialogue and debate, inviting diverse audiences to engage with the project’s participants to explore and seek to address the implications of a society that values some lives more than others. As the project draws to a close we consider the impact Exceptional & Extraordinary has had on not only the museums and audiences that experienced the artworks, but the artists and their ongoing practice as well. Jocelyn Dodd (Project Co-Director, RCMG) comments, ‘Audiences from a wide range of backgrounds have taken up the invitation to explore the timely issues raised by this project with enthusiasm and passion and, most notably, a powerful sense of the need for change’. Richard Sandell (Project Co-Director, RCMG) comments, ‘Exceptional & Extraordinary was conceived back in 2014 in response to increasing instances of hate crime and recent political events have underscored the pressing need for new ways of seeing and talking about difference that can challenge ingrained and highly damaging prejudice’. 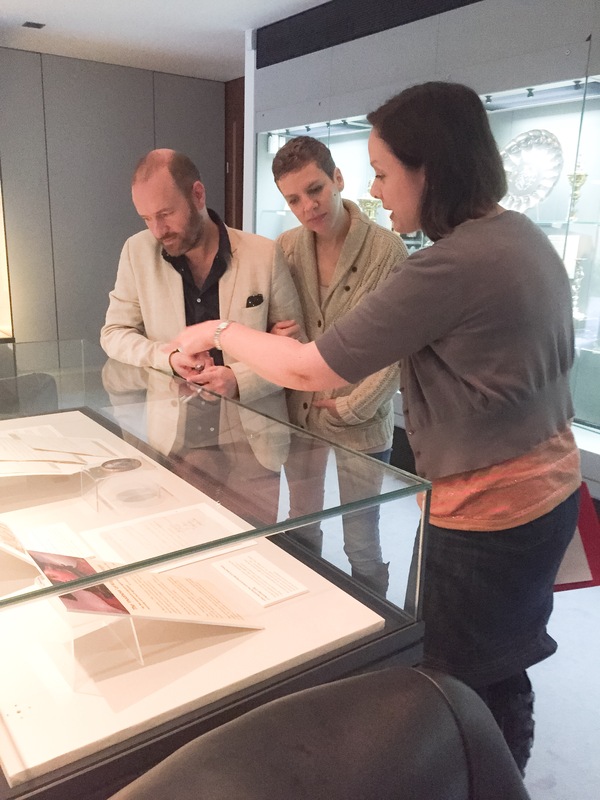 In this special guest blog post, Francesca Martinez shares her ambitions for the project, the motivations behind her comedy and the profound impact that the collaboration with museums had on her work. It was a fascinating experience writing a new show as part of Exceptional & Extraordinary. I hadn’t been commissioned to write a live comedy show before – the impetus for my shows has always come from me, from something I had a need to express – so this work was exciting but daunting. I really wanted to fulfil the original brief and create a performance that would appeal to museum audiences. I thought it would be interesting to combine my comedy background with the world of museums since they’re not usually linked together. A key goal of the project was to try to bring objects to life and humanise the history of difference, so I knew that comedy would be a great tool for getting beyond the dry and serious treatment often found in exhibitions. Initially, there were themes I wanted to explore but I left the details open before visiting the three museums, to see what emerged from the experience. The visits were fascinating and strangely moving. Walking into a room in the Science Museum store filled with discarded prosthetic limbs of all shapes and sizes had a deep impact on me. So many questions jumped into my head as I ran my hands over those arms and legs, hands and fingers. Each one had been an intimate part of someone’s life. But whose life? Most of the limbs were anonymous. No identification, no story, just a few tantalising clues. One old bashed-up leg that had been worn by a soldier injured in World War I had so much character I knew I had to write about it in some way. This process was new and unusual to me; usually, I create shows by staring into a screen and letting my ideas tumble out in the form of jokes. Yet here I was, waiting for the archives to spark my mental gag machine into action, being buffeted by a whirlwind of emotions, none of them of the laughing variety. My visit to the Royal College of Physicians Museum brought me face to face with how the medical fraternity has approached disability – a topic I’ve visited many times in the past! Reflecting on the brilliant technical advances in medical techniques and tools, demonstrated in the (sometimes eye-watering) collection there, I thought of the slow progress in changing the view of disabled people as faulty products that need to be fixed. At Bethlem Museum of the Mind, the art created by the patients was a potent reminder that many (and many of the most challenging) disabilities are invisible, and that our collective engagement – or, more pertinently, our collective failure to engage – with disability and difference is one of the most pressing political issues of the present. After each visit, my head was buzzing with ideas. The first part of the show I wrote was a fifteen-minute poem from the point of view of the prosthetic leg that had struck such a chord with me. I loved the idea of having a character who was a wooden leg, and I thought it would be a great way of – literally – humanising this intriguing object and letting it recount the life of the person who had depended on it. The leg character proved to have a strong voice of its own and what came out was unexpectedly moving. I’m really interested in juxtaposing comedy with moments of drama, and I wanted it to give the show a real depth and surprise the audience. Another aspect I was keen to explore with the leg’s story was the uncomfortable relationship between war and disability. During my research I discovered that Britain has been involved in armed conflict every year since WWI, and I couldn’t help but reflect that disability has been one of our biggest exports. Our society views disability at birth as a sad tragedy, yet our government-directed military has inflicted disability on soldiers and civilians all over the planet. The contradiction was glaring and cried out to be examined in public. At the Royal College of Physicians Museum, I came face to face with an imposing portrait of Sir William Osler, the celebrated medic who coined the term ‘cerebral palsy’, a term I’ve hated for as long as I can remember. Here was the moustachioed visage of my nemesis, the gentleman whose well-meaning efforts lumbered my teenage self with the Unsexiest Label Imaginable. That couldn’t go unaddressed, so I brought him back to life to explain himself, in a scene in which I repeatedly interrupted him, challenging his assumptions, pointing out the consequences of his invention, and finally dismissing him from the stage, striking a blow for all the cerebrally palsied everywhere! 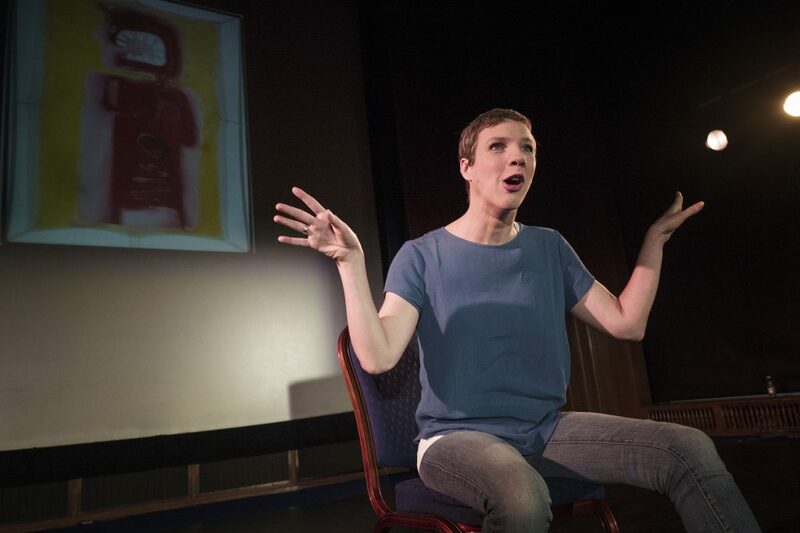 I used one of the Bethlem Museum of the Mind portraits – which gave such a powerful depiction of inner pain that is usually invisible – as a springboard to address the political life of the country, and how its present form not only ignores disability and difference but fosters fear and hatred of it. I’ve grown up in a mono-culture where the pressure to conform is ubiquitous and diversity is seen as a negative, often used by the powerful to spread division and despair. This is an attitude which is deeply unhelpful and unhealthy, and I wanted the show to remind audiences that diversity on every level – biologically, genetically, culturally – makes us stronger. We need to cherish difference as a positive because it requires us to grow, expand and adapt – all key factors in human progress. How we approach disability tells us so much about what a society values and how compassionate it is. This political aspect actually emerged from all the museum visits and inspired me to finish the show with a manifesto for a kinder, more humane society. I think that museums can play a vital role in informing people, in helping to address the terrible empathy deficit in society right now, in helping us to connect with each other and our past. 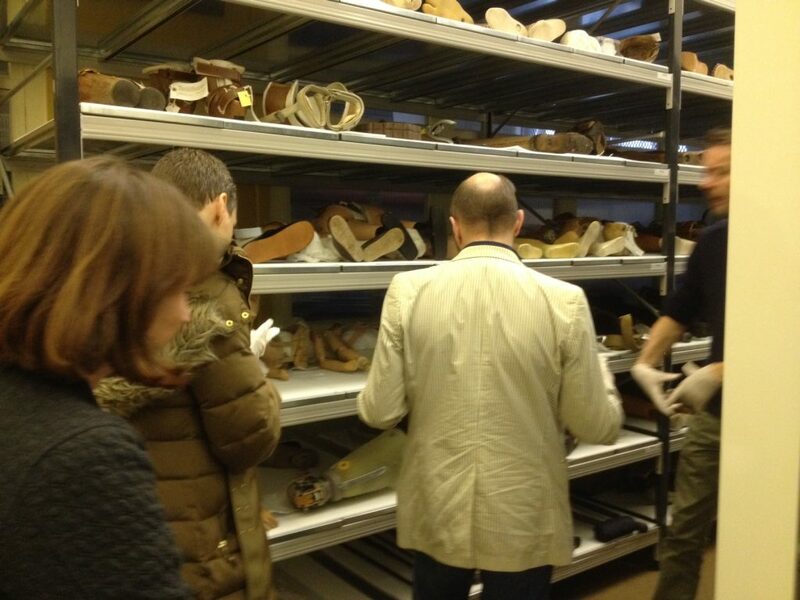 The museum visits, the objects I encountered, opened up my creative process to new sources of inspiration. That’s something I’m excited about continuing. And can you imagine going to a museum in which the exhibits tell you about themselves?! I believe that bringing museums together with artists can unlock the potential of both in a very fruitful way. Sarah Plumb is a Research Associate in the Research Centre for Museums and Galleries, University of Leicester.